NEW!! 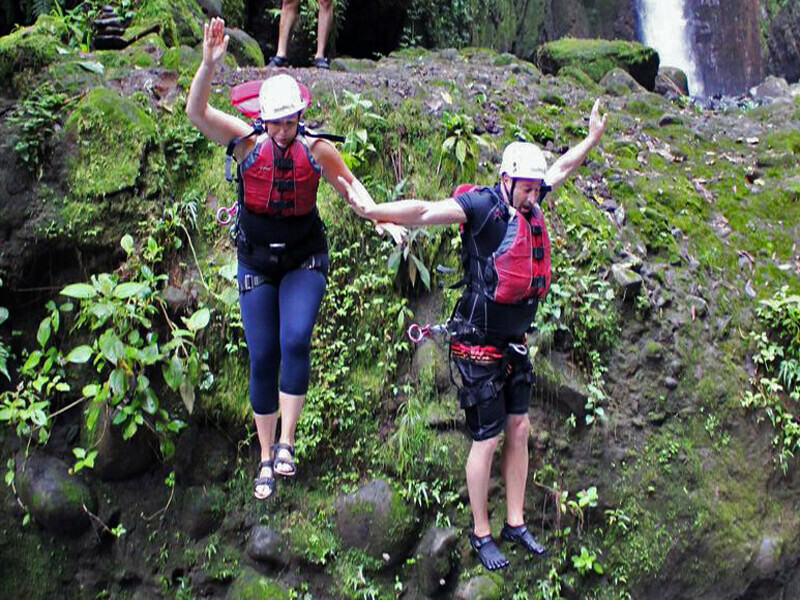 Gravity Falls Waterfall Jumping: Costa Rica's Extreme Adventure! 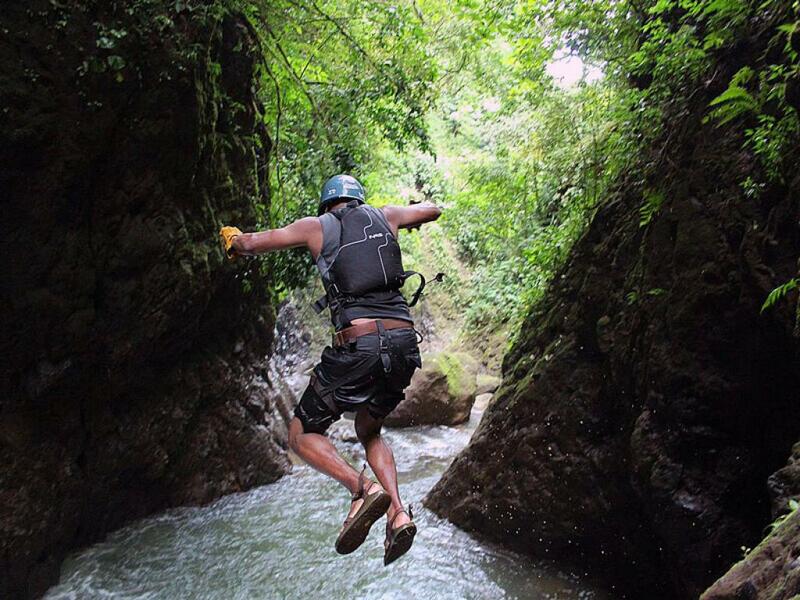 Looking for adventure, even more extreme than a normal canyoning tour? Then you must try DeFazio's latest tour, Gravity Falls! 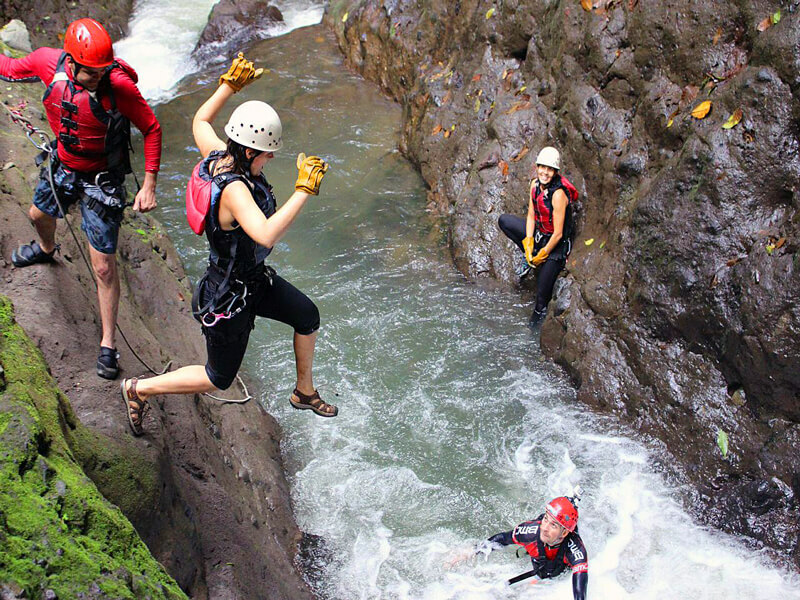 On this tour you will jump off high canyon walls into deep, incredibly crystal-clear water pools of water as wells as rappelling down beautiful waterfalls! 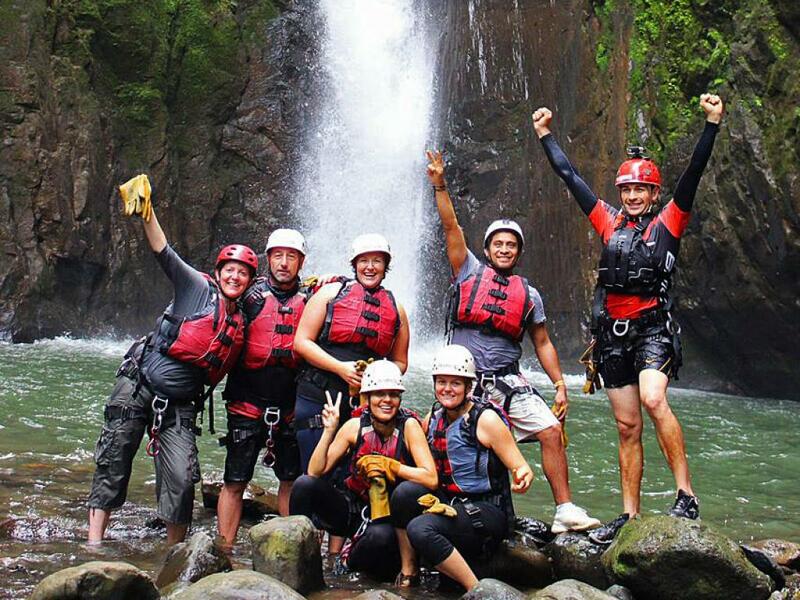 Enjoy a lifetime rainforest expedition! The tour is located just 30 minutes from the town of La Fortuna in Arenal. You will be picked up and driven into the mountains to a beautiful, isolated jungle canyon near Santa Claro (La Vieja). The tour starts with a hike deep into the jungle and a safely talk and distribution of the latest safety gear, harness and helmets. You will start with an exciting rappel to really get you heart pumping! Your guides will help you set up and you will rappel down a huge 100ft waterfall (30m) into a crystalline pool of water, where you will float to the shore. This is followed by a hike through the rainforest with your guide until you reach a series of canyon drops and waterfalls. This will include some jumping, down climbing, scaling boulders and min-rappel. You will be pushed to your limits as you jump a series of waterfalls from 10 - 30ft (3-10 meters) and then float and hike to your next jump. At one point you will arrive at the 'Face of the Old Lady' which is cave where you can stand in its mouth. The tour is 30 minutes to get to the canyon, 2.5 hours of the tour, then transfer to a local restaurant for a delicious Costa Rican lunch and then the drive back through the beautiful countryside to your hotel.